"We are from God and to God we shall return." (Qoranic verse). 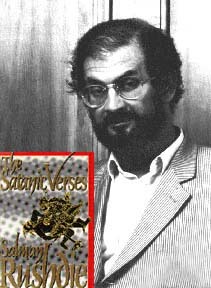 I am informing all brave Muslims of the world that the author of The Satanic Verses, a text written, edited, and published against Islam, the Prophet of Islam, and the Koran, along with all the editors and publishers aware of its contents, are condemned to death. I call on all valiant Muslims wherever they may be in the world to kill them without delay, so that no one will dare insult the sacred beliefs of Muslims henceforth. And whoever is killed in this cause will be a martyr, God Willing. Meanwhile if someone has access to the author of the book but is incapable of carrying out the execution, he should inform the people so that [Rushdie] is punished for his actions.... Rouhollah al-Mousavi al-Khomeini."